A COMEDY SHOW DESIGNED FOR KIDS! Watch Your Ideas Come to Life! 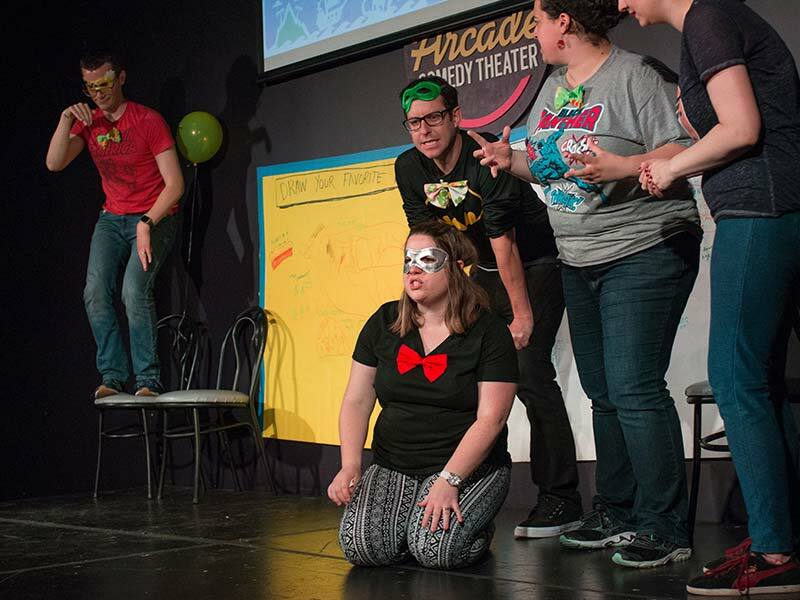 Penny Arcade is an improv comedy show designed for kids 5–12 years old and fun for the entire family. 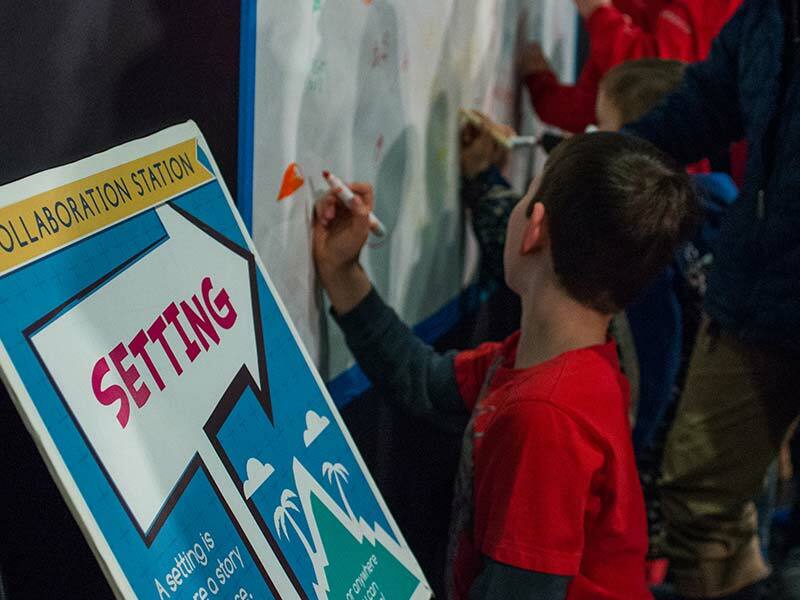 At the start of the show, kids draw, write, and craft at our Collaboration Stations. Then the Penny Players bring those ideas to life on stage with a fun 45-minute improv comedy show — there’s even opportunities for kids to get in on the act! Every show is different! Space is limited for this interactive show—consider purchasing your ticket in advance to reserve your spot! Shows happen every month on the 2nd & 4th Saturday at 1pm. Get your tickets online and be guaranteed a seat! Ticket prices are $5 for kids and $10 for adults. Or if you’d like, families are welcome to “pay as you wish” and name their own price. 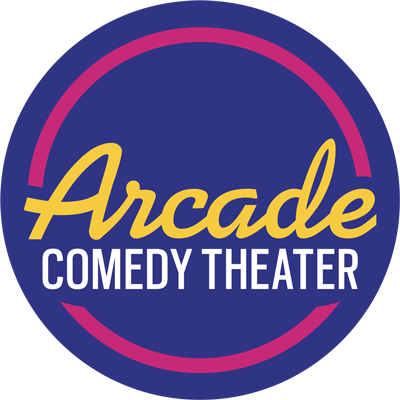 Arcade Comedy Theater believes that all families should be able to enjoy live theater in downtown Pittsburgh. 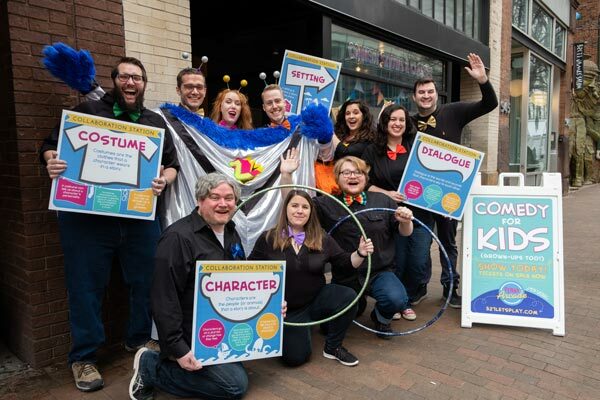 Thanks in part to a grant from the PNC Charitable Trust and proceeds from full-price tickets, Penny Arcade offers a “pay as you wish” option for families in need. 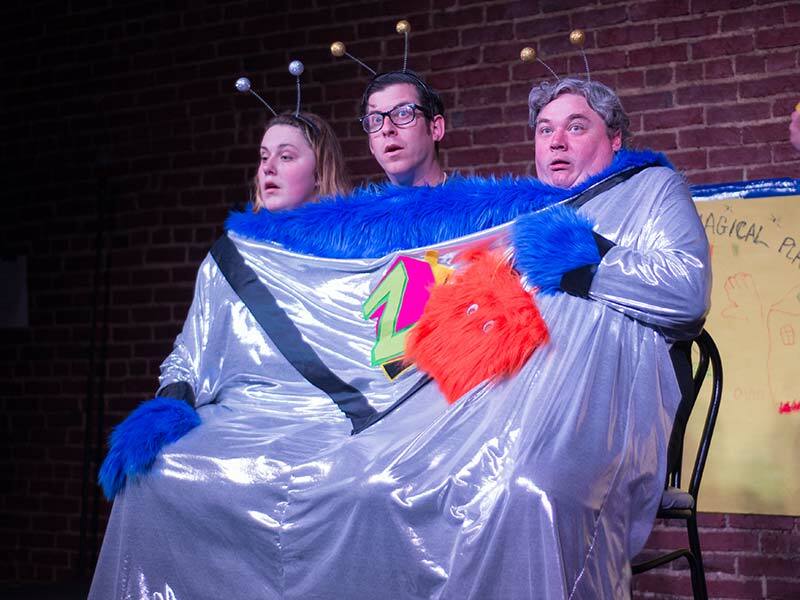 You can decide how much you’d like to pay per ticket to see this fun, family-friendly show. The “pay as you wish” option is available online, if you’d like to reserve your ticket in advance and ensure you have a seat. Also available in person at the box office the day of the show. 3-2-1 LET’S PLAY … TWO DIFFERENT WAYS! 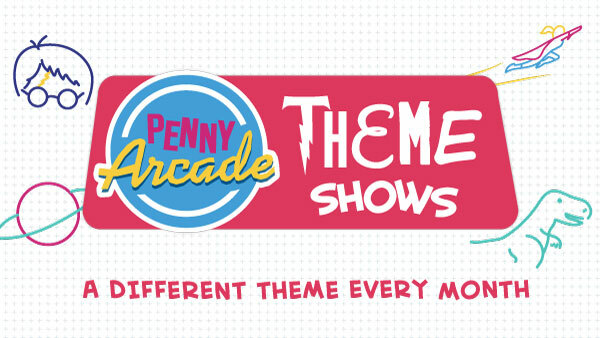 The second Saturday each month you can see the classic Penny Arcade show! Kids get to inspire improvisers in a variety of games, volunteer to perform, and even learn games they can play at home. The fourth Saturday each month is based on a specific theme. New games, new ways to collaborate, and new worlds to explore! These shows will be fun for everyone — especially for superfans and junior experts! Before the show, the audience participates in Collaboration Stations which use crafts and literary prompts to generate ideas used in the show by the players. It’s showtime! We create an energetic 45-minute show based on the ideas from Collaboration Stations. 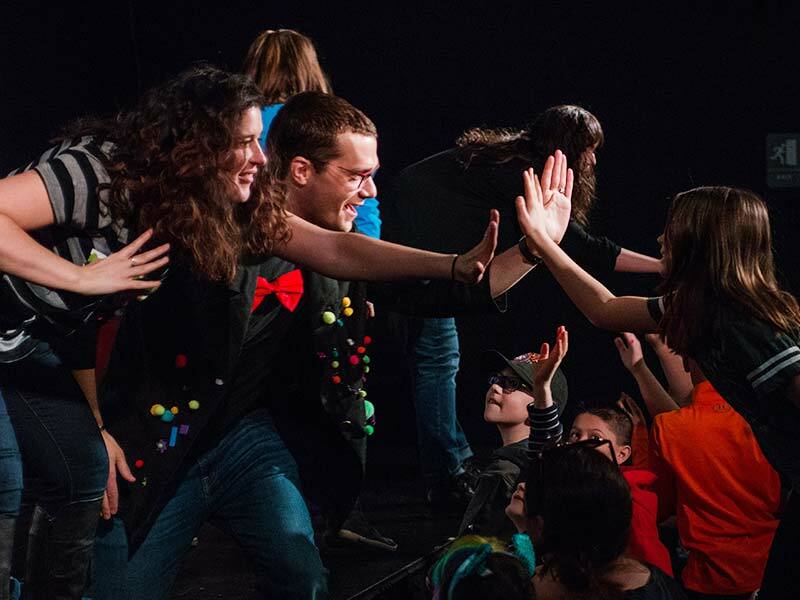 Every show features opportunities to volunteer and hop up on stage to tell stories, interact with performers, and play games! 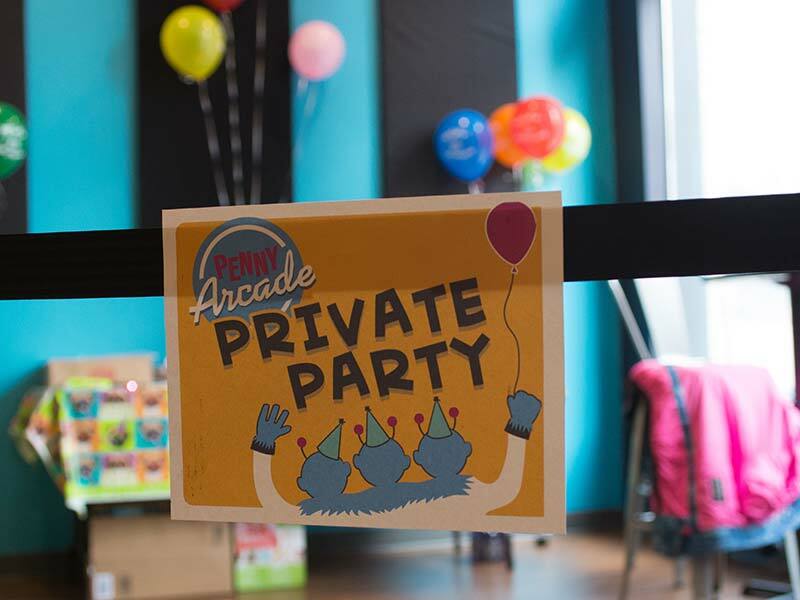 Penny Arcade is a great way to have an amazing and affordable birthday party for your child and all of their friends. Pick a regularly-scheduled Penny show and continue the fun by celebrating in our theater’s upstairs lounge for an hour or more afterwards. The cost of the party includes tickets to the full show, extra time playing with the Penny Players, and a space to open presents, eat cake, and play our free, vintage arcade games. Contact us to learn more. We also travel! Penny Arcade is a creative and interactive addition to any event – fully customizable for your school, organization, or event. We’ve performed at fundraisers, outreach events, field trips, private birthday parties and for organizations like Our Clubhouse, City of Asylum, Strong Women Strong Girls, and the Children’s Museum of Pittsburgh. 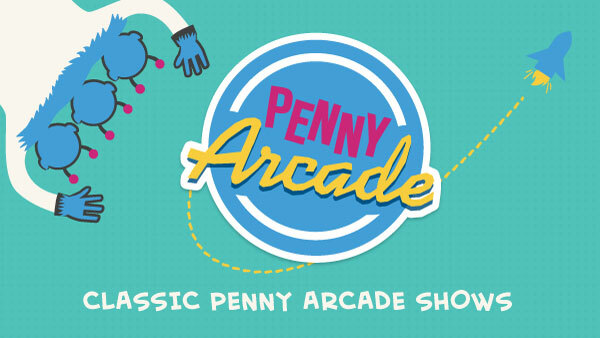 If you’re a superintendent, educator, or group organizer, contact us to learn how to bring Penny Arcade to your event. Following Penny Arcade on Facebook is a great way to stay in the loop about what we’re up to next, see photos from shows, and hear about upcoming performances outside of the Arcade.